Morning seems blue, however last morning seemed normal. Waking up, running down the stairs greeting mum and dad while on the other side I saw a husband greeting his wife. Hunger triggered by the sense around noses, salivating through my mouths I grab on to mum’s best waffles and I gathered my energy to argue with my brother. It felt good, I heard there were plans to head out tonight and mum was screaming at the maid to walk down the market for groceries. It all feels s like a faint memory in this cold blue morning. Somehow, yesterday wasn’t blue it was surprisingly bright. A brightness that camouflages all the emotions or the hidden dark cloud that lingers above your head. Walking down the street today, everything seems faint, it seems like everyone have been crying all night. This ye old blue sky seems to carry the tears of many and the despair of a thousands. I never noticed sky being something so unappetizing. Staring at the blatant street, smothered in blood, you find a necklace laying there on the side of the street. You wonder her vision when she first strapped it on for tonight. How was the concert? The shock of the attack left me bluntly amnesiac. Mum and Dad, a group of boys opening up their doors to find police giving them candy as a token for a foreseen obituary. A wonder, an alarm goes on saying what did I do! What did anyone do? Blaming the political games since the day segregation and the blame games begun a new age propaganda. Feeling like a pawn, you shoulder on a friend. A woman with her hijab, wiping your tears, #notinmyname her board says. You can’t seem to blame the whole religion for what happened nor can you blame yourself. However, hatred towards circumstance left you questioning the attacker’s definition of peace. I fight for my religion for peace the man with the machine gun claims. What’s peace when you’re the only man standing on a pile of innocent corpses with tainted blood on your palms. A king of no man’s land is what you become in a lonely world. Tears, despair and oppression is the form of peace, you stand there with tears welled in your eyes questioning their sense of peace. Is it peace that’s being fought for or is it mere ego and extreme narcissistic brainwash that has taken play. The blue sky marking the tears of many, the blue facebook wall with hash tags and hipster complaint, “For all I care now is for my loved ones”, your head keeps ringing. You keep on playing the same morning from a day ago where all seemed fine. You walk pass the market, you see tomatoes and vegetables stained with pieces of flesh. You walk pass a restaurant you see the steak smothered in blood and chocolate and mint sauce. You wonder what he was saying to her, as by the amount of blood on both chairs evenly spread from the table to the brown wooden floors they’re dead. “Claim Responsibility” you repeat the phrase in your head, as you know that somehow they don’t make sense. How can you proudly claim responsibility towards dead of hundreds? Breaking the one civil rule of al religion, to not slaughter an innocent life, that’s when you crossed your boundaries of fighting for peace and walking as a mindless puppet. A puppet brain washed by the tainted hearts of so-called religious man. However, in this blue sky, you noticed something bigger; you noticed that you had many hands to lean on too, to show they care. Humanity once you thought was destroyed by three men with machine guns was revived by this girl in her pink shoes. As she touched, your head while you lay with your silent tears .You see that she’s a stranger and you see millions walking in the same path to show their pain for you. Sharing the burden, you wipe your tears and walk along side them. Some reason this blue-sky, tainted black day just pushed everyone together to share the pain. You see a man in his wheel chair with his battle scar pushing himself with a flower and you see a men with a yamaka walking with a white rose. You see all colors and all character, all religions and all believes walking in the same path sharing your burden. You see France, Beirut, Japan, Myanmar and every country that blood has spilled innocently. Eventually you see that humanity turned the blue tainted sky somewhat clear again. 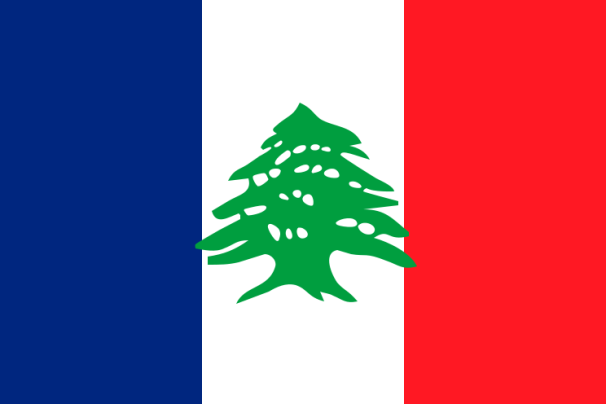 * This post is a condolence to all victims of the Paris and Beirut Attacks previous days. Originally published at blogmcedi.wordpress.com on November 16, 2015.